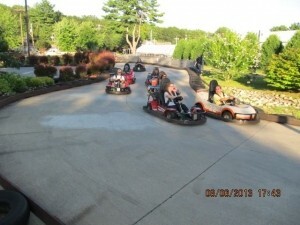 Don’t forget the big 17th Annual Celebrity Go-Cart Race coming this year to Adventure Family Fun Center, Rt. 9 in Queensbury, on Aug. 11th at 6 pm. There are TWO heats, one for the kids under 17 and the other for the adults. This year, it’s known as the PJ400. Yes, pajamas. Drivers have to raise at least $200.00 and wear PJs to race. Kids need to raise $25.00. For all the details and to donate to your favorite drivers, tune to 98.5 WCKM or Hits 95.9. You can download your own sponsor form or donate online at either WCKM.com or Hits959.com. Plan to come on up to see the actual race, it’s a ton of fun! Don’t forget, the 11th of August, 6pm sharp!